This chicken liver recipe creates an exceptionally flavourful meal. Chicken liver can be quite rich, so the trick is to balance the flavour and texture. 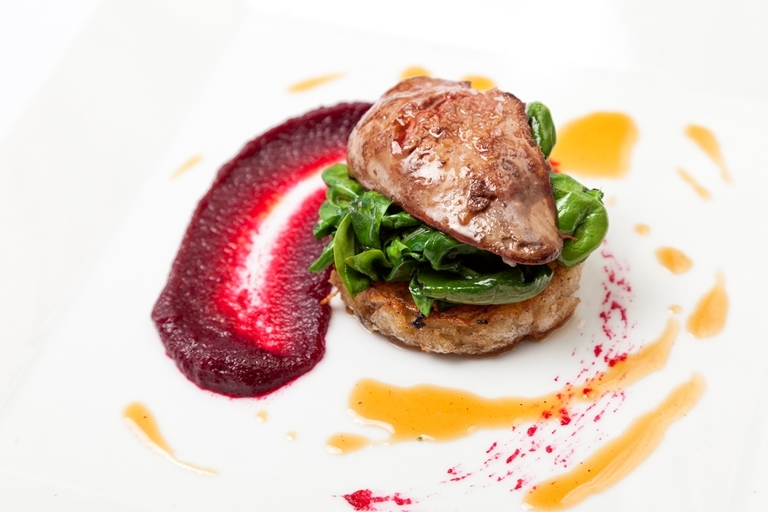 Here, Galton Blackiston serves the livers with crunchy potato rosti, earthy beetroot and salty bacon. The wilted spinach also adds a delicious touch. For the potato rosti, place the grated potato into a clean tea towel and twist to squeeze out the excess moisture. Heat the olive oil in a small frying pan, and add the grated potato. Flatten the potato to fill the frying pan evenly, season and fry over a medium heat for 3-4 minutes.